PARIS — The failure of wealthy nations to deliver on short-term climate commitments could hinder the rollout of a landmark treaty, a bloc of 134 developing countries, including India and China, has warned at UN negotiations in Bonn. "If we do not respect decisions that we have made, then how can we build trust among the parties?" said Chen Zhihua, China’s senior negotiator on Thursday, referring to long-standing pledges by rich nations to enhance financial support and "revisit" targets for curbing greenhouse gas emissions before 2020. 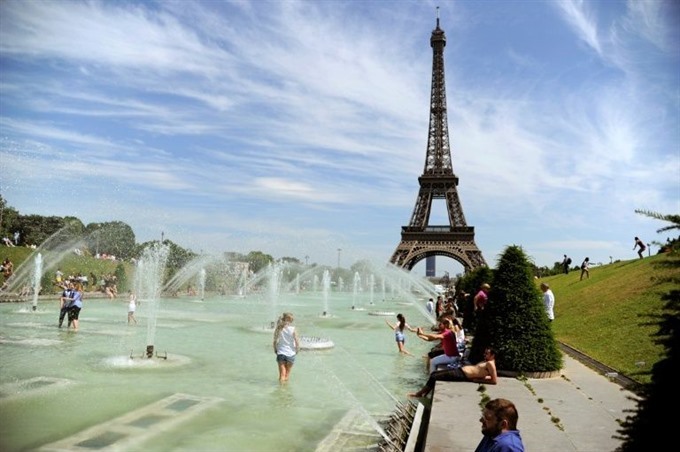 The treaty, inked outside the French capital in 2015, calls on the world to cap global warming at "well below" 2 degrees Celsius (3.6 degrees Fahrenheit), and even 1.5oC if possible. With one degree of warming so far, the planet has already seen an increase in drought, deadly heatwaves and superstorms. "The science is clear: if we don’t get our act together before 2020, you can forget about the 2oC and 1.5oC targets," said Paul Oquist, Nicaragua’s chief negotiator at the talks. Under the terms of the UN’s core climate convention, the burden for action before 2020 falls mainly on wealthy countries historically responsible for the rapid rise of greenhouse gases. China is the world’s top carbon polluter, followed by the United States, the European Union, India and Russia. "It has been a pretty sterile debate that has degenerated into a finger-pointing exercise," he said.